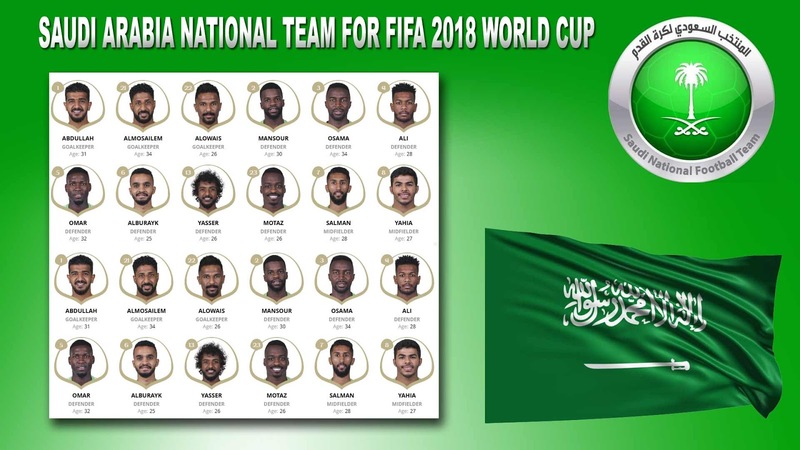 Saudi Arabia Team Schedule and Results at FIFA World Cup 2018 are here in Live action. 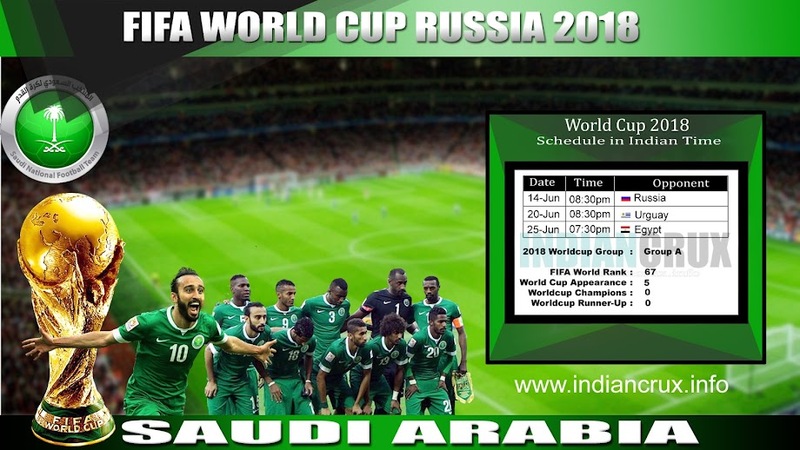 Stay tuned with us for the updates of World Cup Schedule and results of Saudi Arabia National Team. Saudi Arabia making their fifth appearance in FIFA World Cup. Team qualified in 1994, 1998, 2002 and 2006. And did not qualified in 2010 and 2014. Saudi Arabia is currently 67th in FIFA World Ranking. In July 2004 KSA reached their best as 21st in Ranking. The first international match was against Lebanon in 1957. On 17th January 2015, Saudi Arabia won their biggest victory over Timor Leste (10-0). At Asian Cup, Saudi Arabia made the tittle wins for three times.